To graph a function or plot an ordered pair, you need to use a coordinate plane, so you should learn all about it! In this tutorial, you'll learn about the y-axis and see where it's located in the coordinate plane. What are the Coordinate Axes? The coordinate plane has two axes: the horizontal and vertical axes. 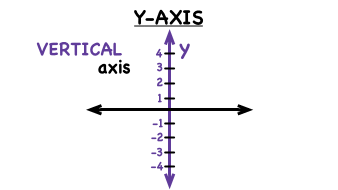 Learn about these axes and the name for their point of intersection by watching this tutorial!